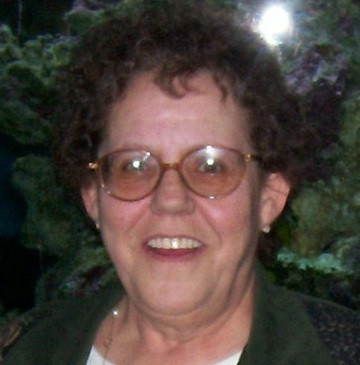 Judith L. Mulcahy, 74, of Fremont, OH passed away on July 31, 2017 at Rutherford House, Fremont, OH. She was born on March 6, 1943 in Fremont, OH the daughter of Orville and Hazel Overmyer. She was a graduate of Fremont Ross High School. Judy married Robert L. Mulcahy, Jr. on March 23, 1963 at Grace Lutheran Church in Fremont, OH and he preceded her in death on September 28, 2012. She was a homemaker and enjoyed cooking and crafts. She was a member of the Crafty Cuties at Rutherford House and enjoyed spending time with her family. Judy is survived by her children, Carla (Tom) Waggoner, Fremont, Chris Mulcahy, Prior Lake, MN, Chad (Melissa) Mulcahy, Fremont; siblings, Marie (James) Dumbroff, Fremont, Bud (Pat) Overmyer, Zansfield, OH and Rick (Ruth) Overmyer, Toledo, OH; grandchildren, Joshua, Derek and Bradley Waggoner, Destinee and Chad Mulcahy, Jr. and great grandchildren, Ainslee and Colton Waggoner. She was preceded in death by her parents, husband, Robert Mulcahy and sister, Dorothy Whitt. Private burial took place at Greenlawn Memory Garden, Clyde, OH. Memorials may be made to Hospice of ProMedica Memorial Hospital or Rutherford House. To my second mom and the grandmother to my children…. YOU WILL BE GREATLY MISSED!! Thank you for teaching us so many wonderful things. I am very grateful for everything you have done for me and my kids. We love you and will miss you very much!!! You were one of a kind!!! So sorry to hear of Judy’s death. RIH. She was always so nice and fun to talk to. Carla, Chris, and Chad I am so sorry! She loved you kids beyond measure! Judy will be missed by many! Sorry for your families loss. Judy was always one of my favorite patients when she visited Bethesda for rehab. She had a way to make everyday brighter no matter how she felt. We will all miss her!